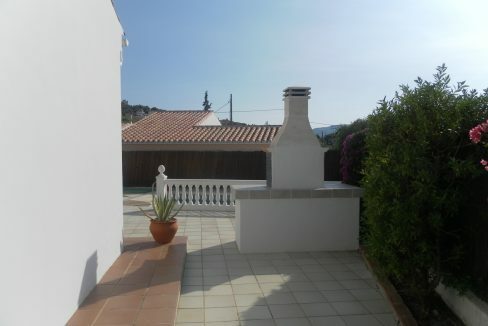 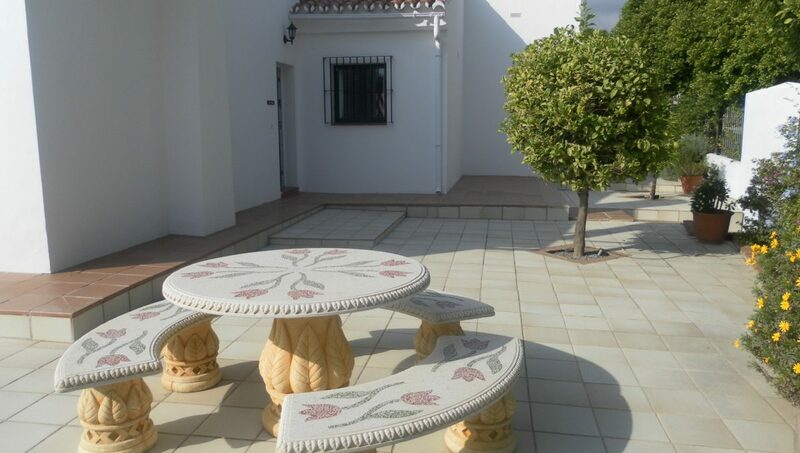 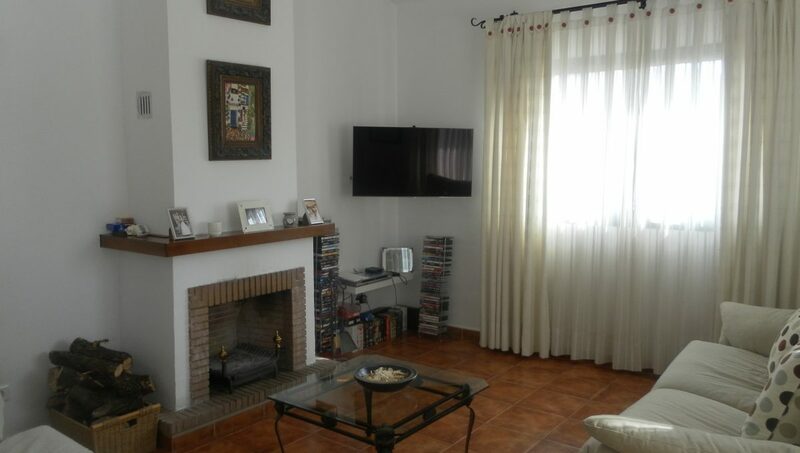 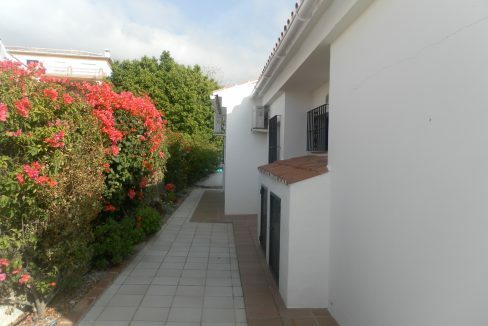 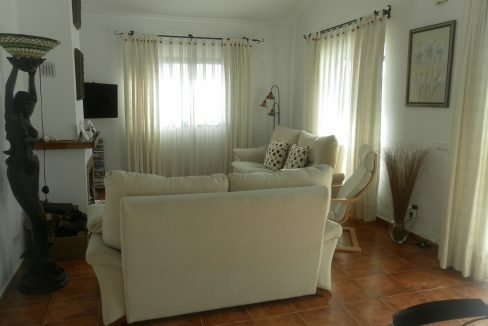 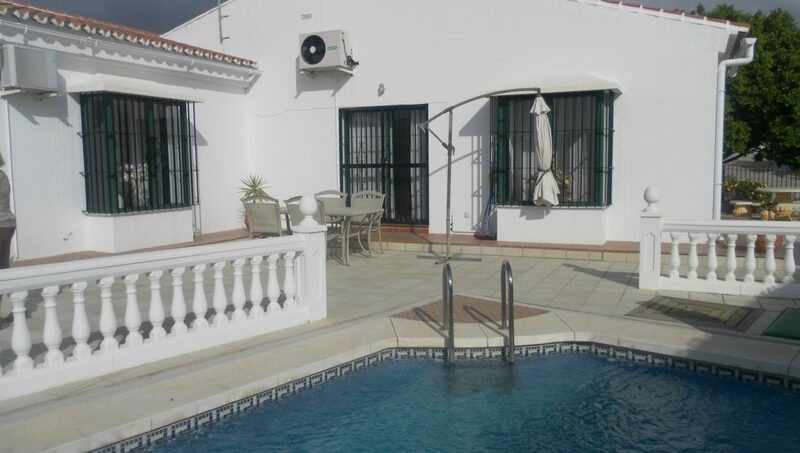 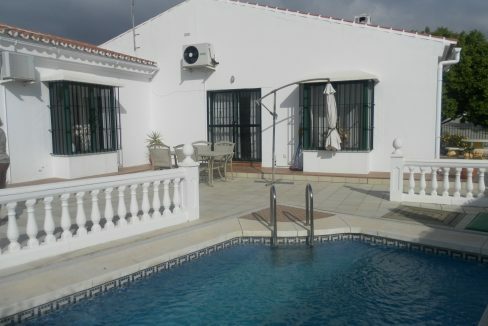 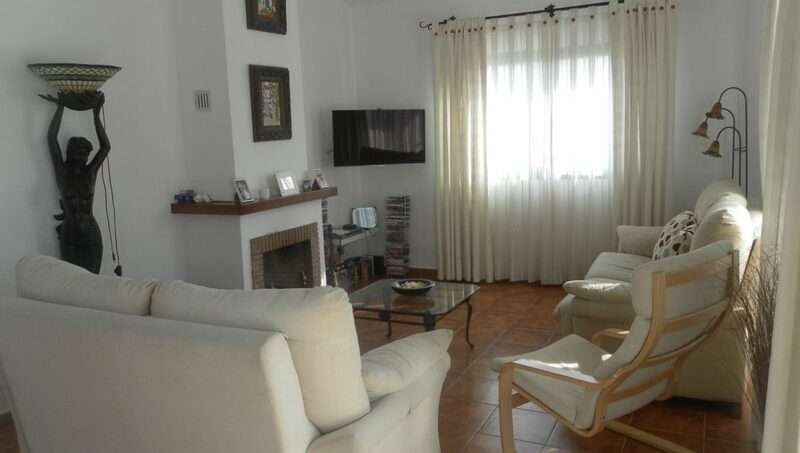 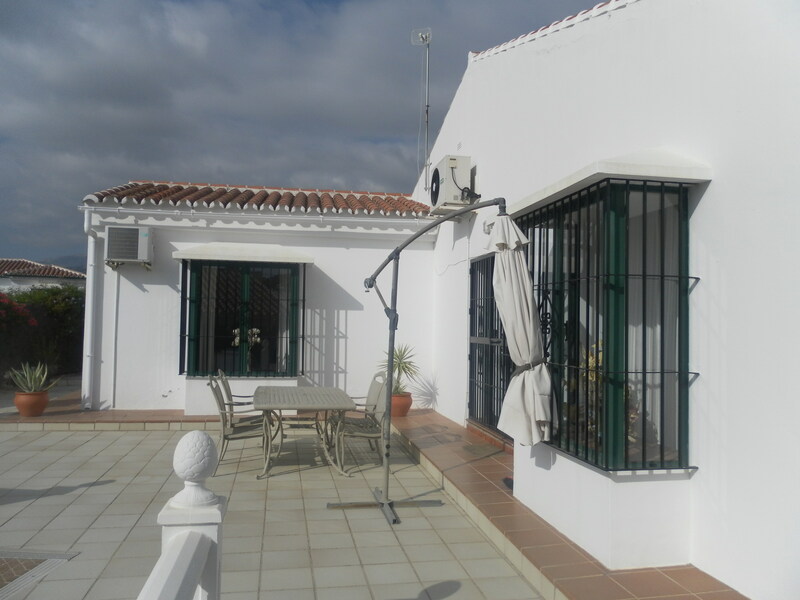 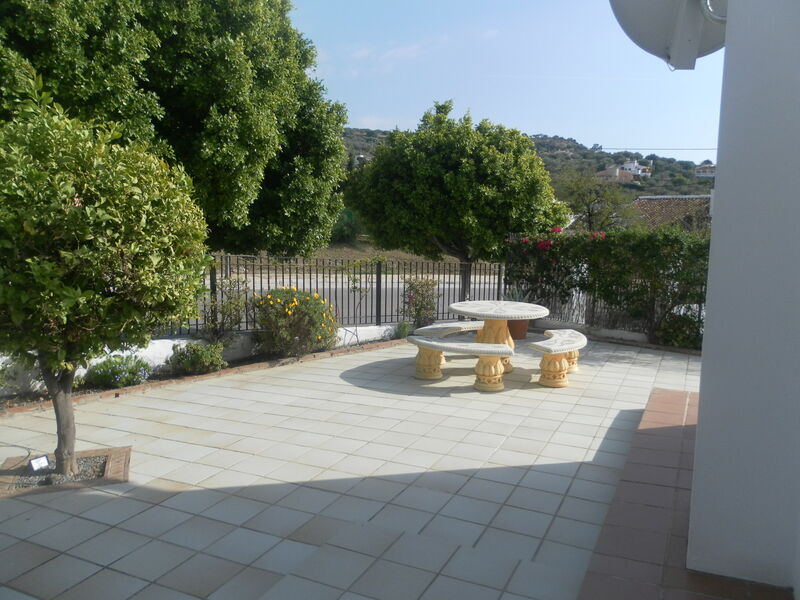 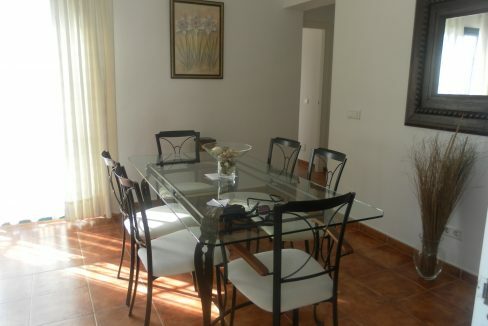 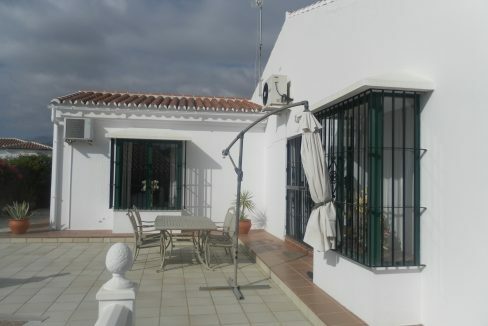 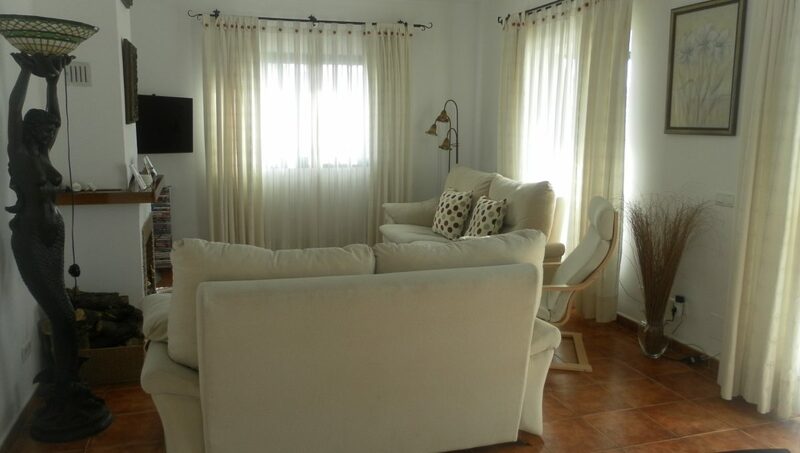 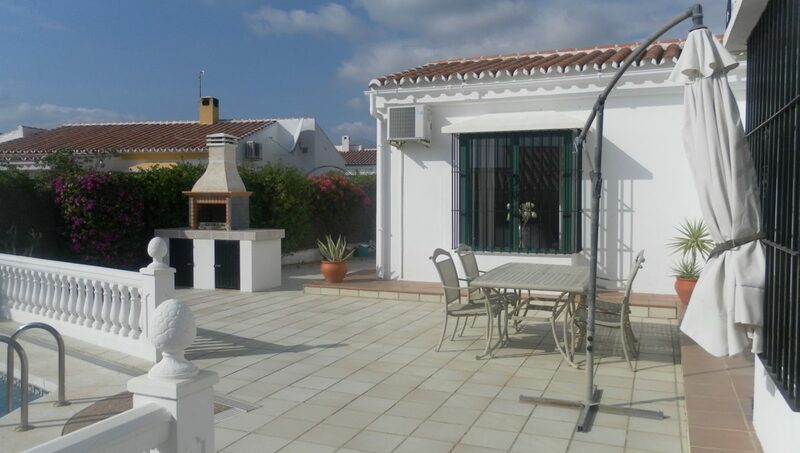 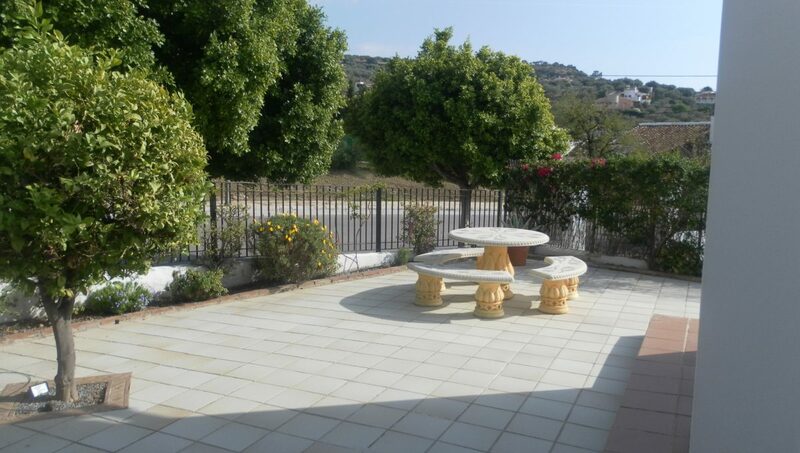 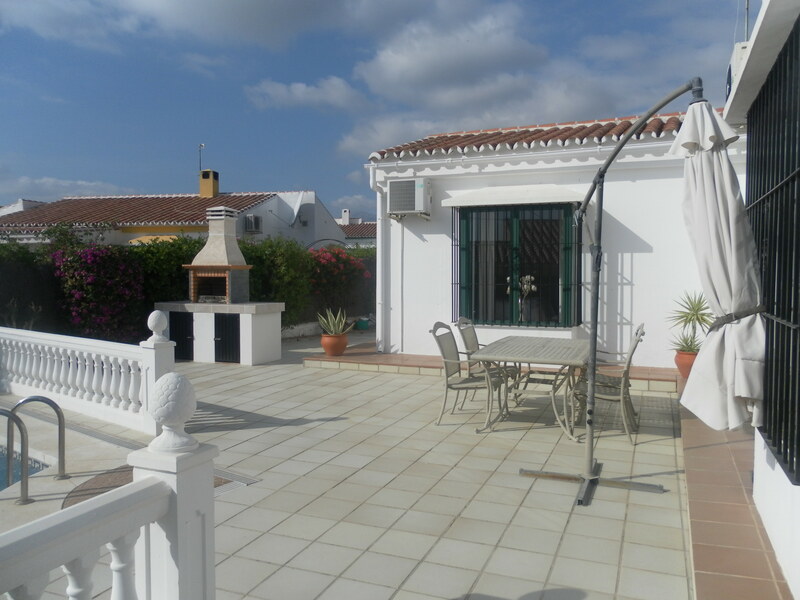 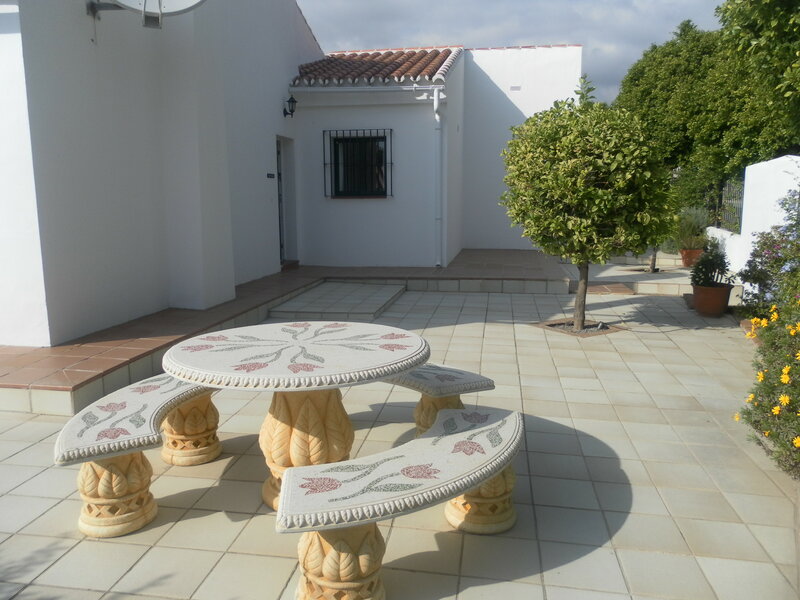 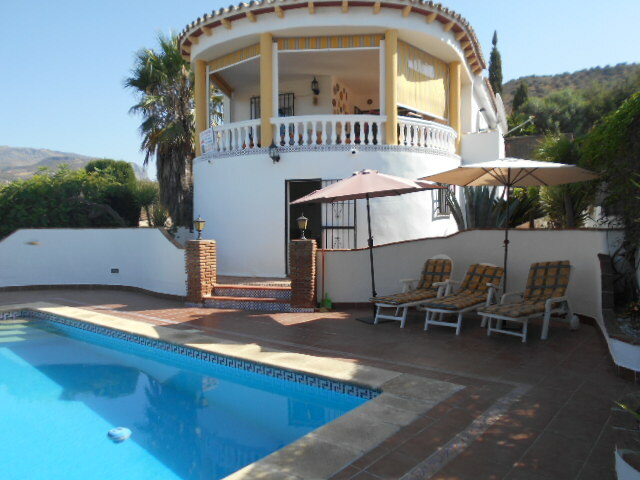 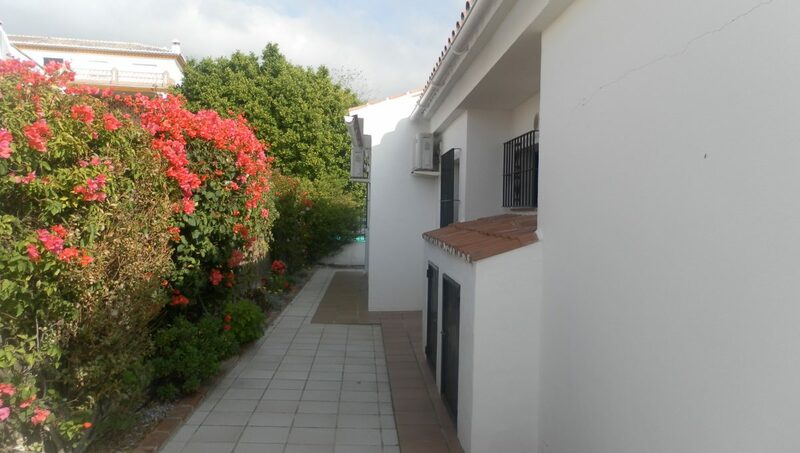 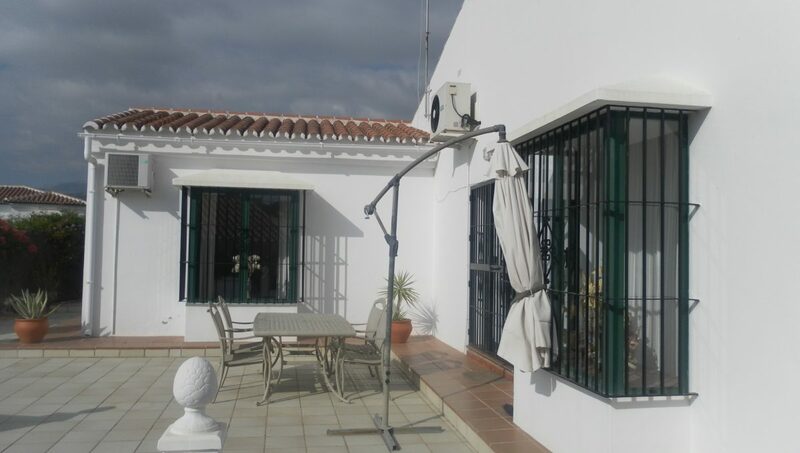 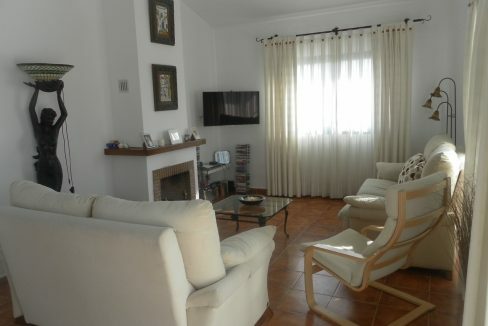 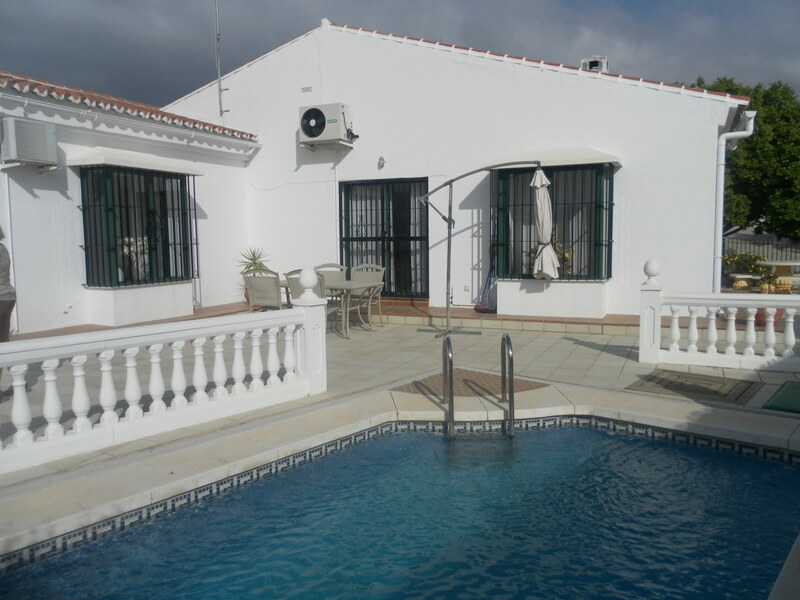 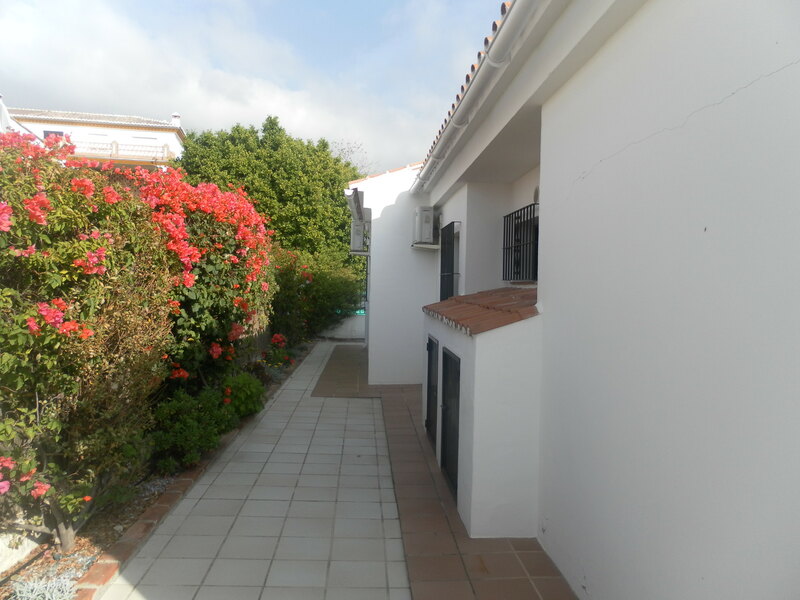 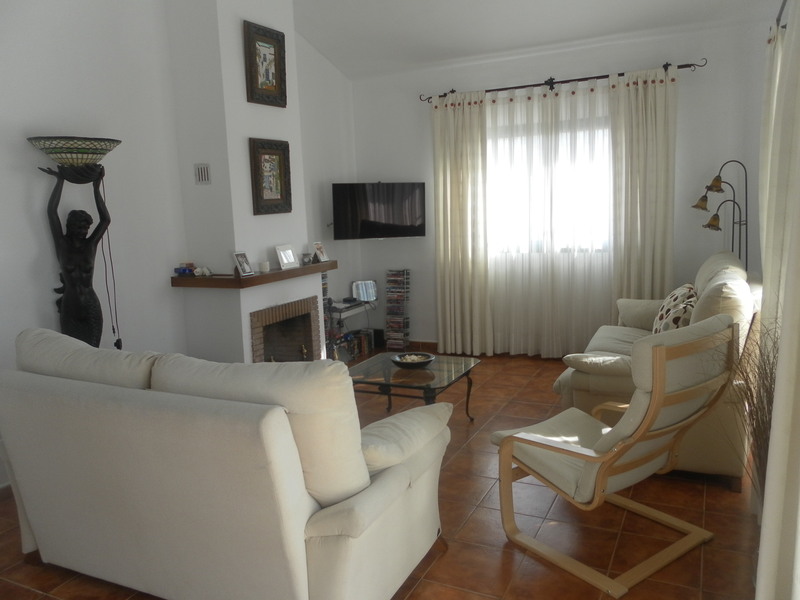 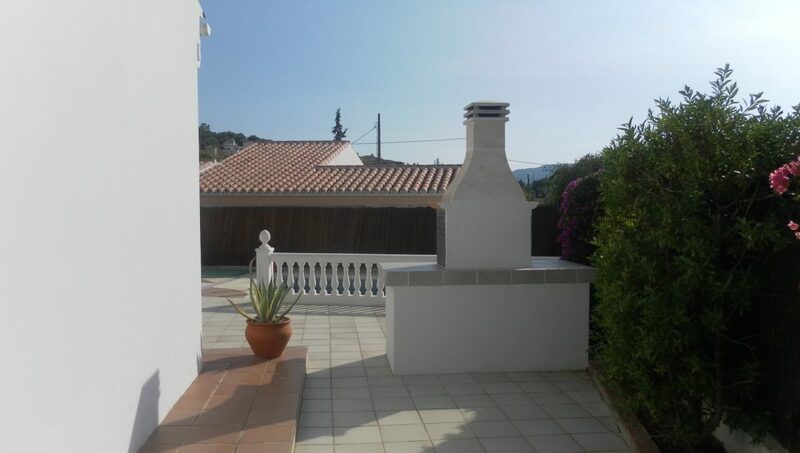 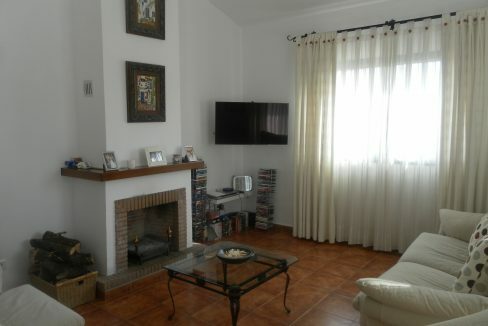 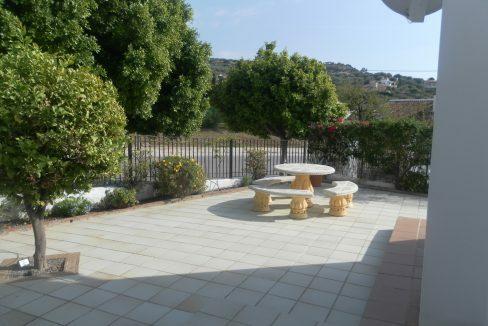 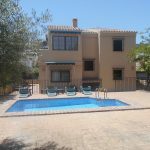 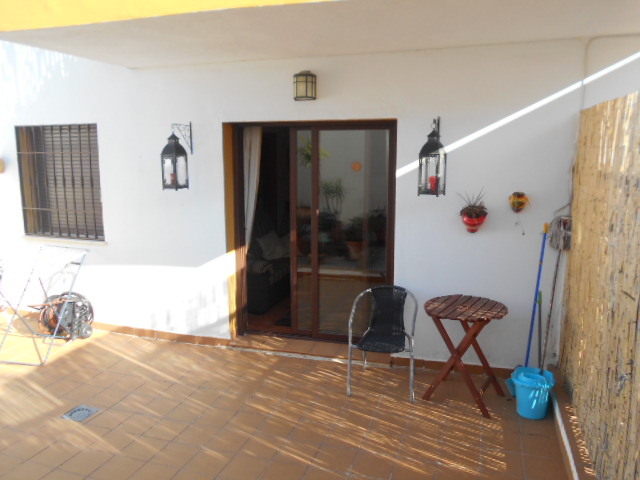 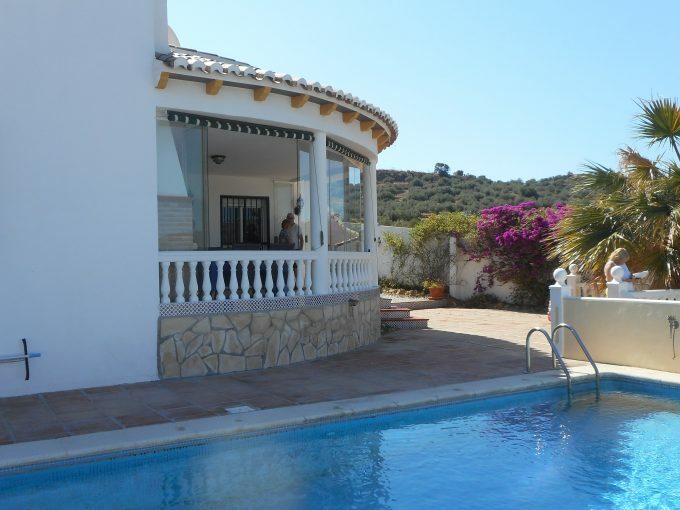 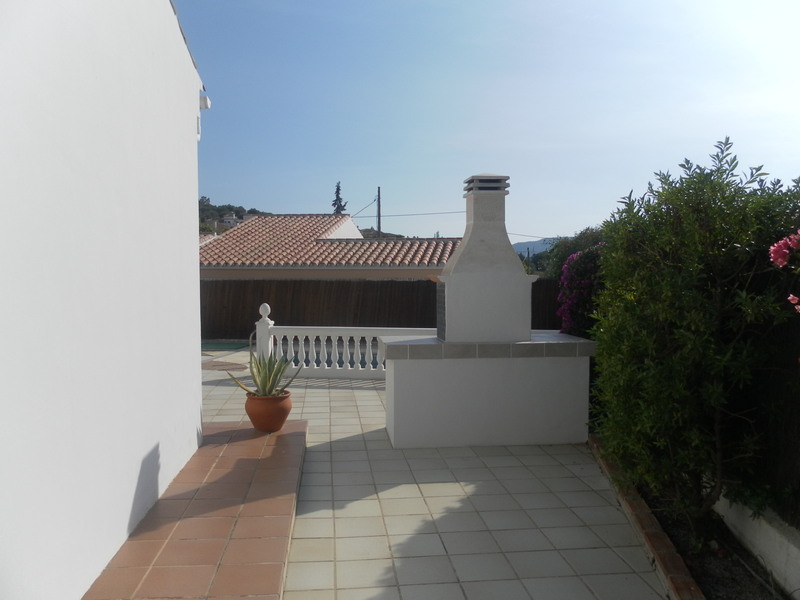 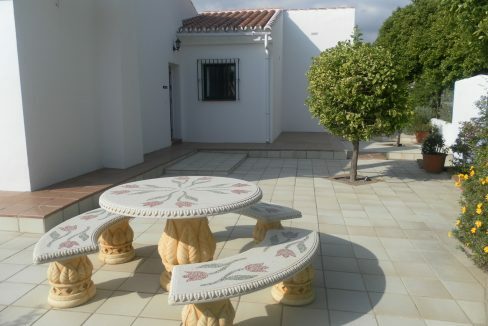 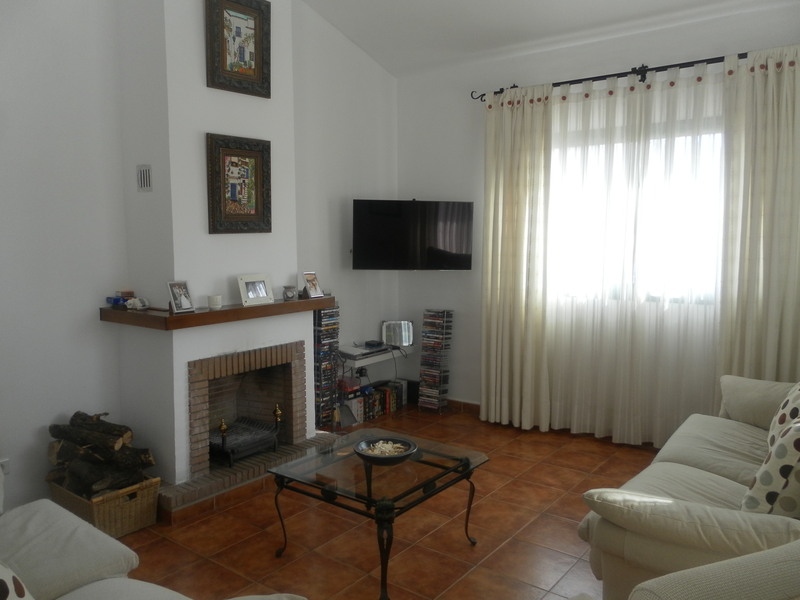 A very well presented, modern and spacious villa with easy access to amenities, schools and restaurants and close to Lake Vinuela. 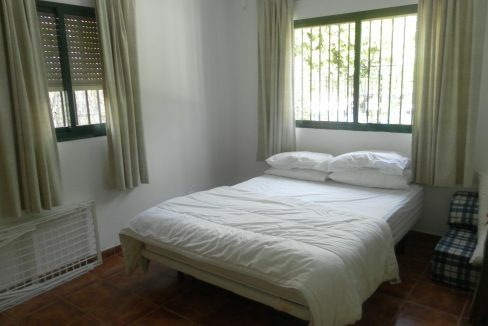 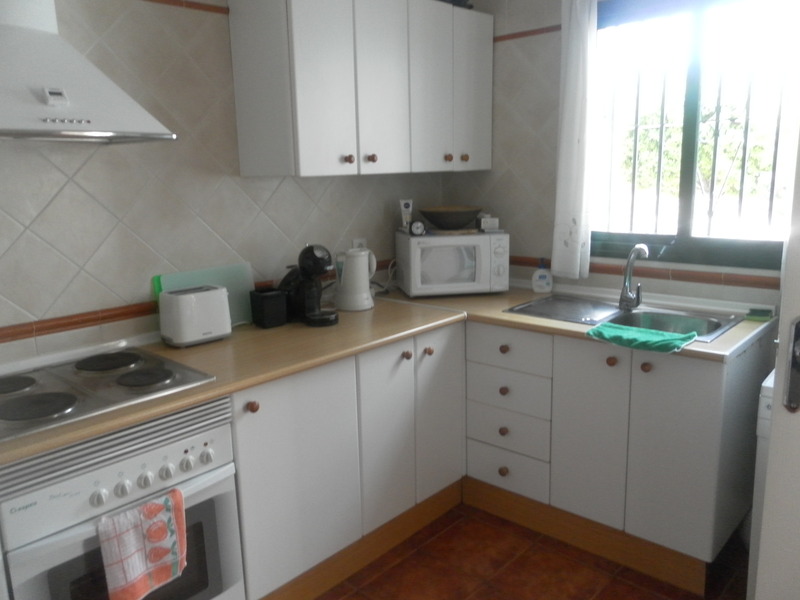 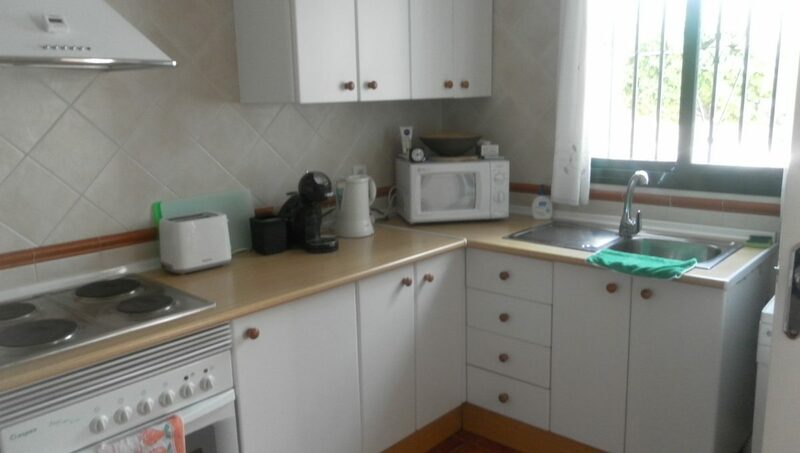 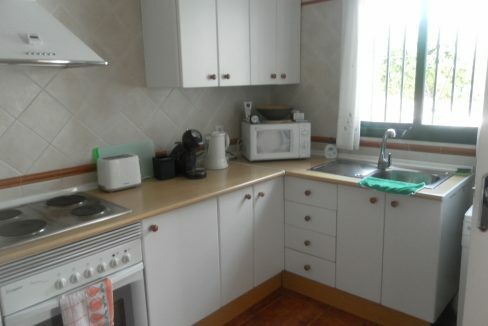 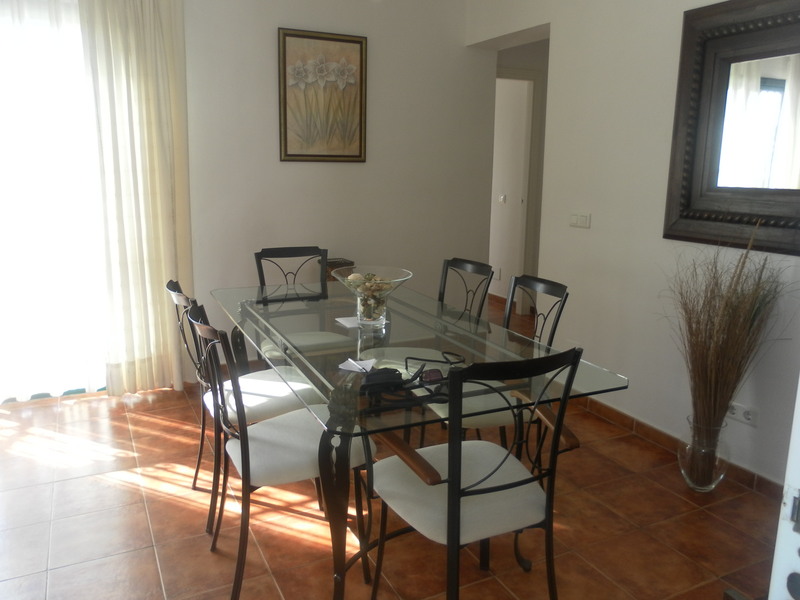 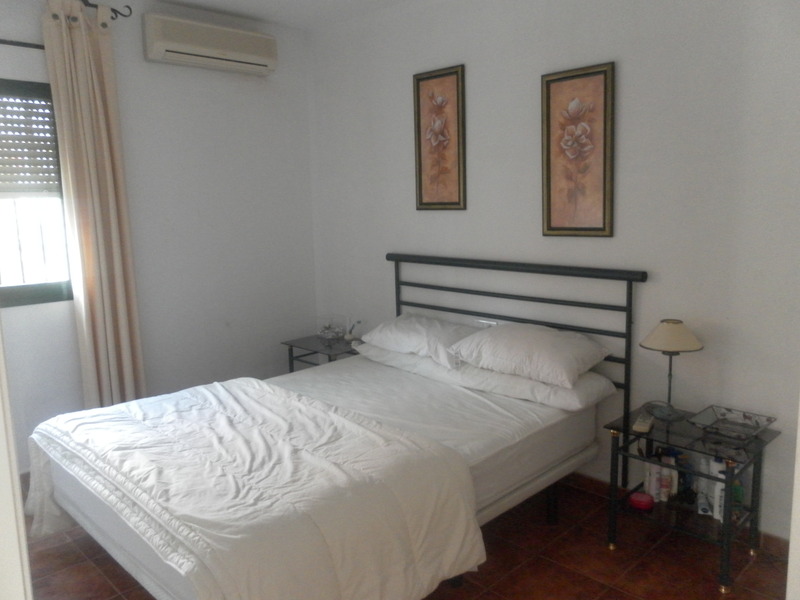 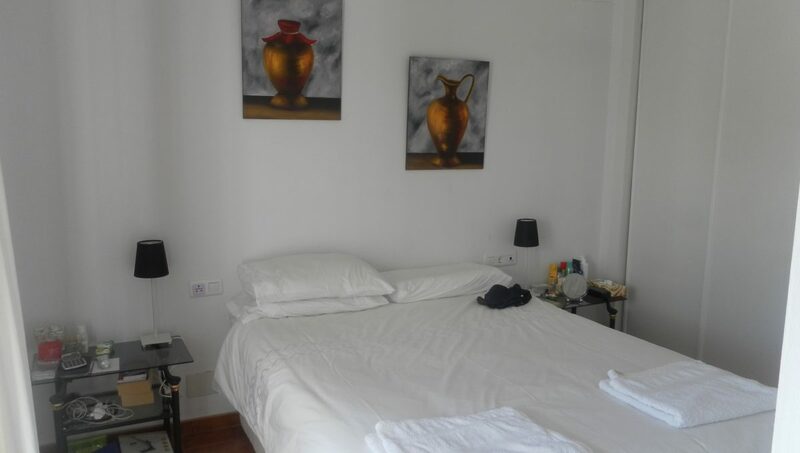 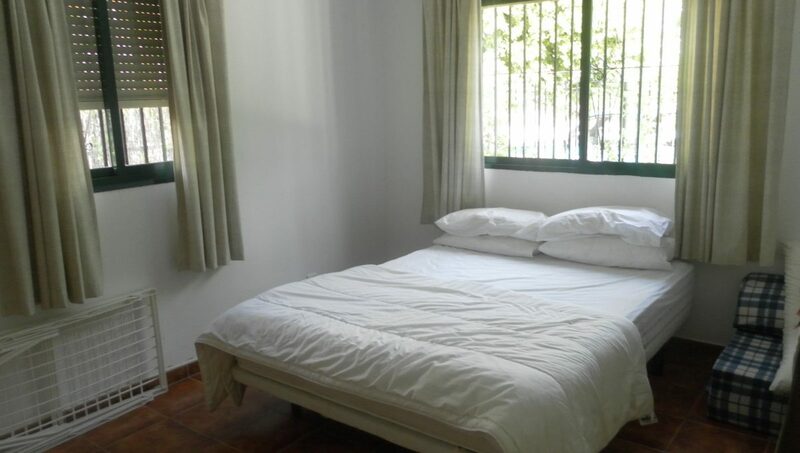 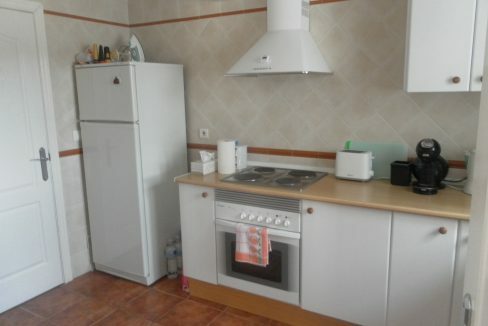 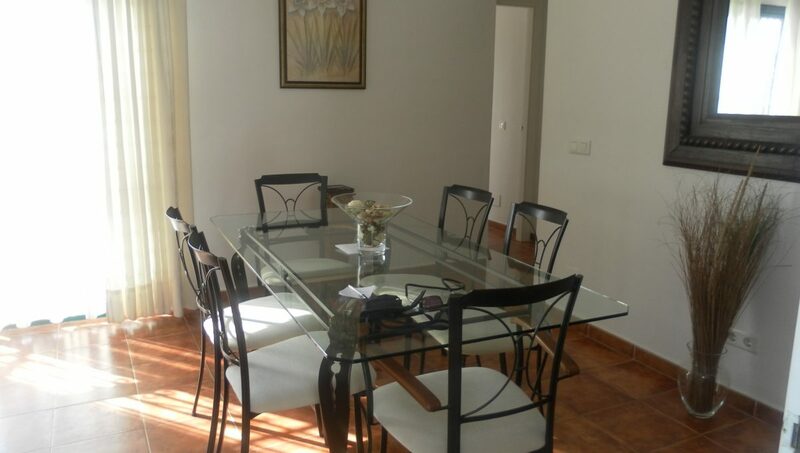 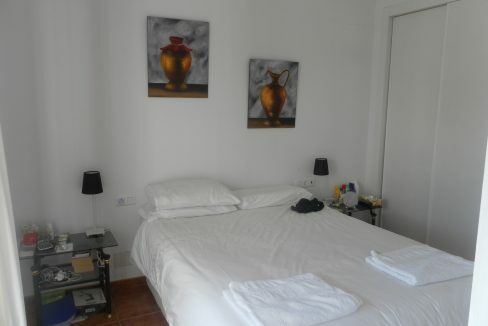 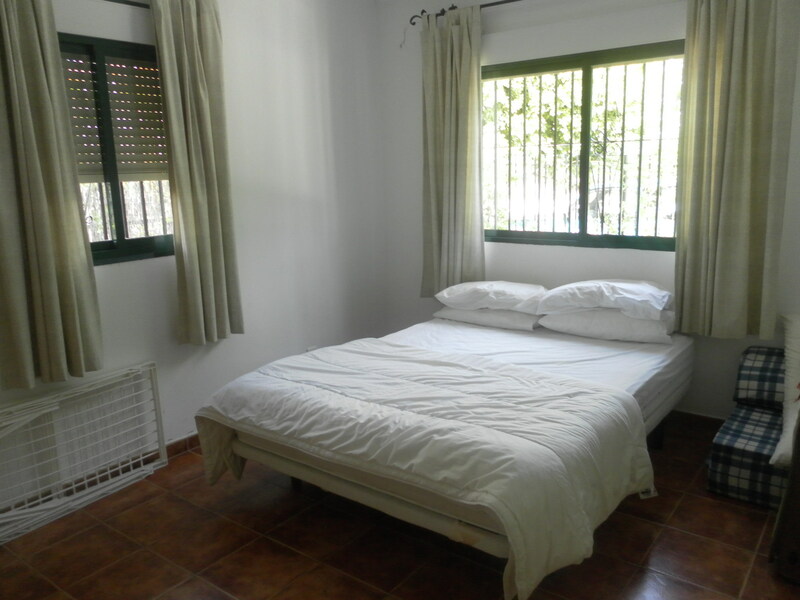 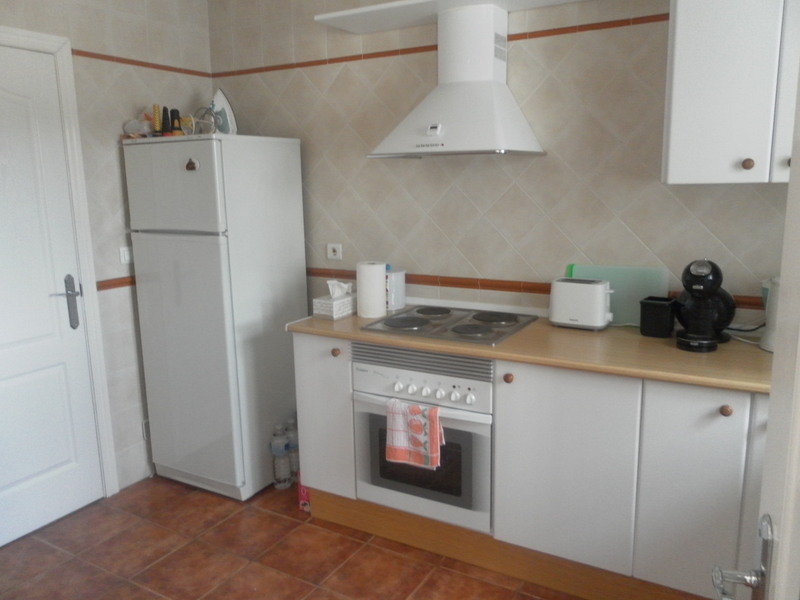 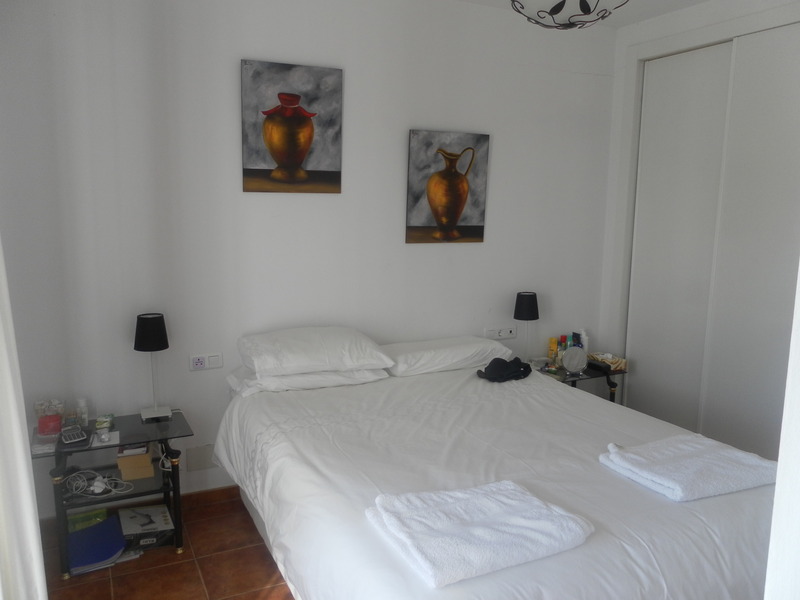 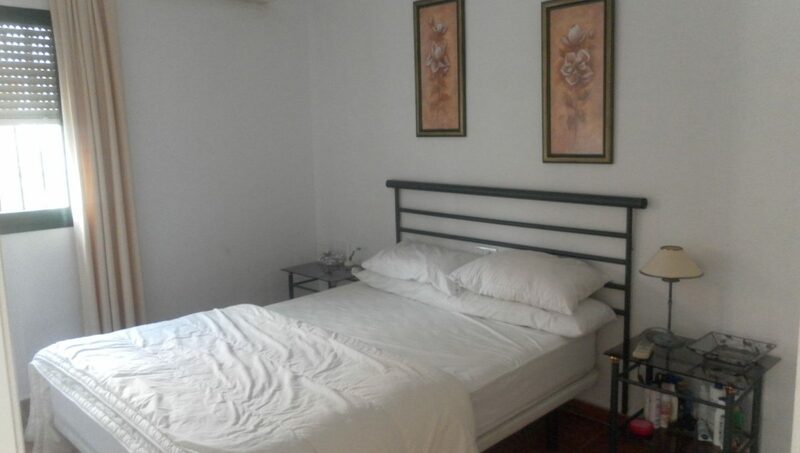 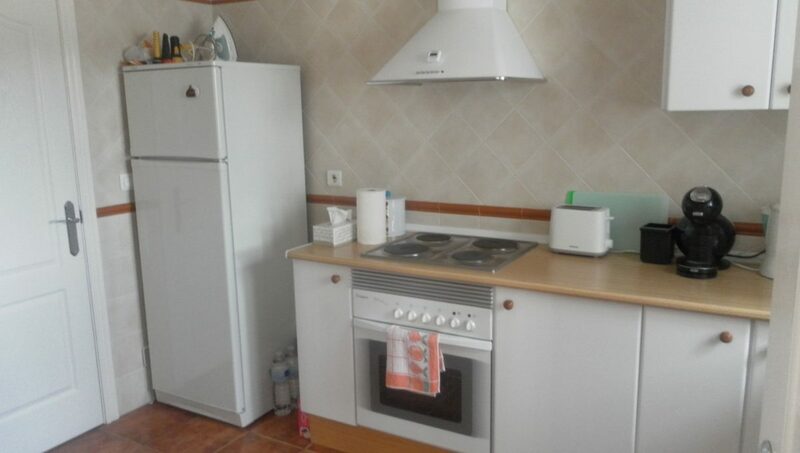 The accommodation comprises of 3 beds, 3 baths. 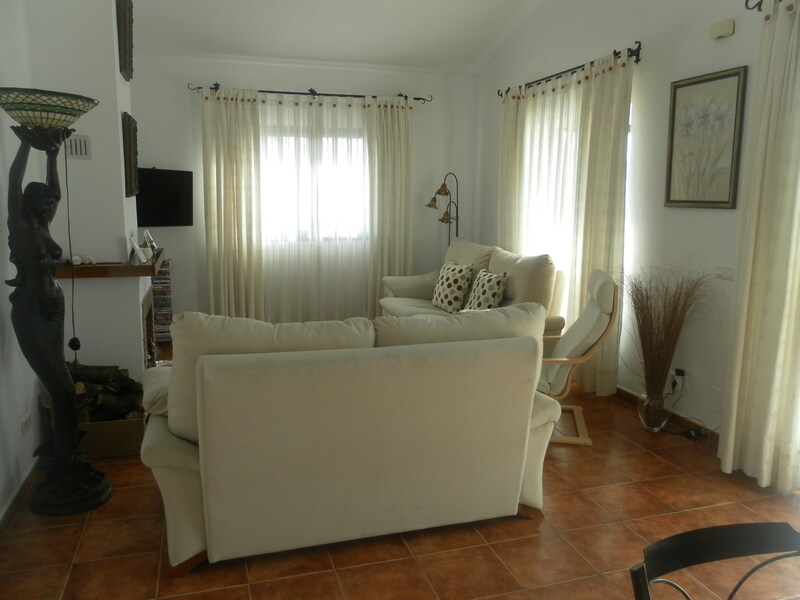 Large lounge/diner with high ceilings and open fire, French doors to pool and garden, and a fully fitted kitchen, with door to bedroom 1 with ensuite shower and boiler. 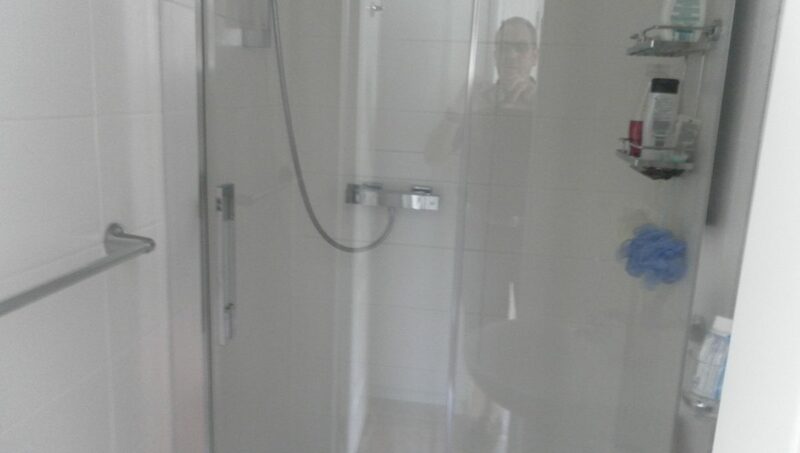 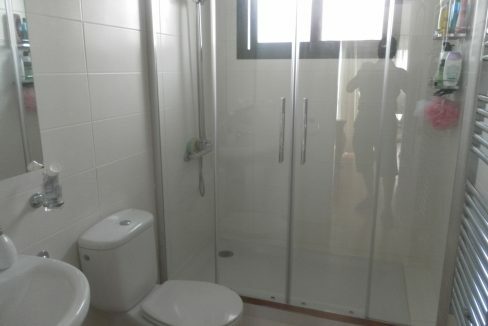 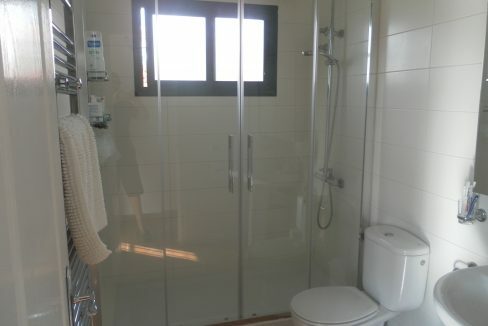 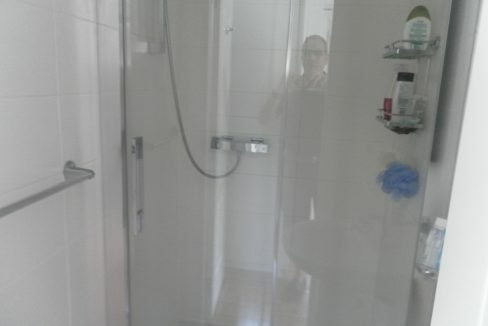 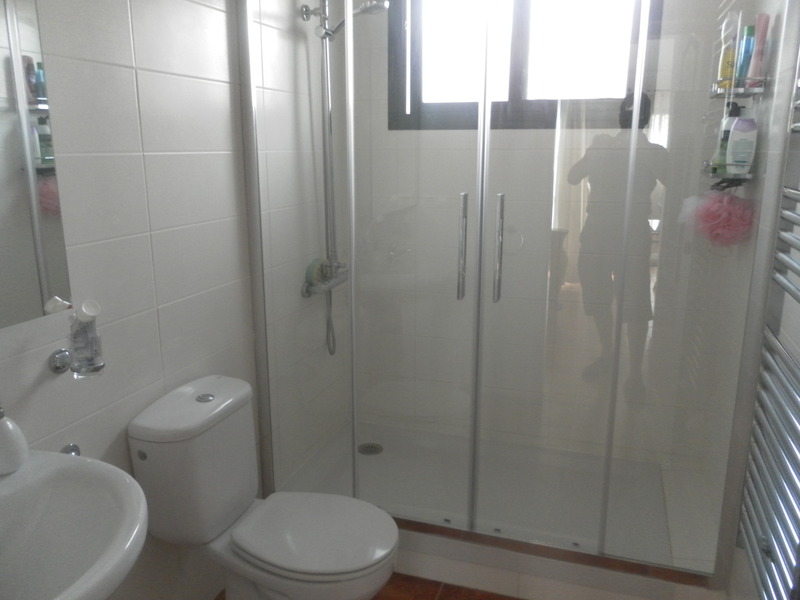 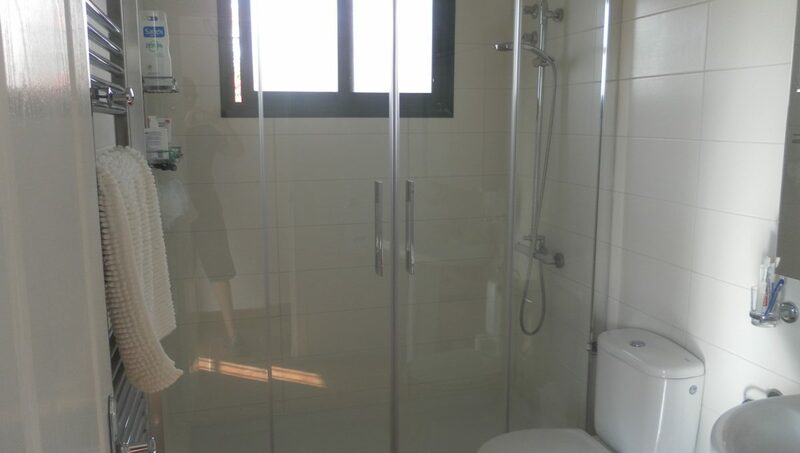 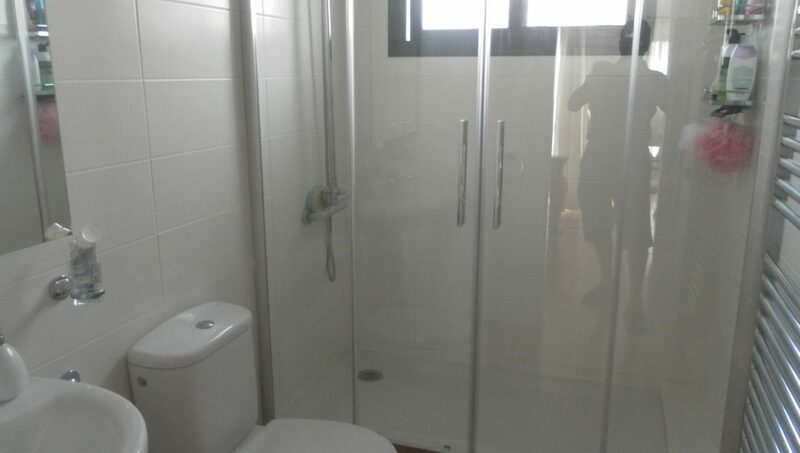 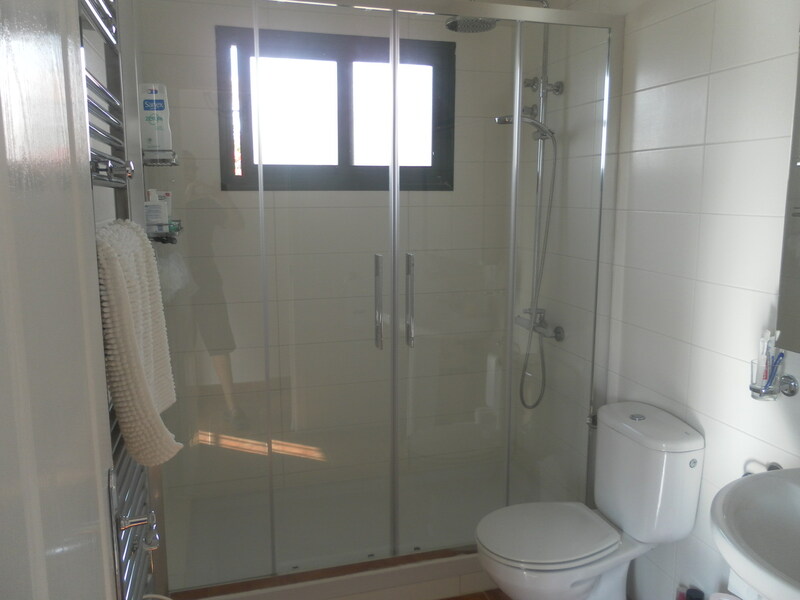 1 double, 1 twin and 1 master with balcony window and ensuite double shower. 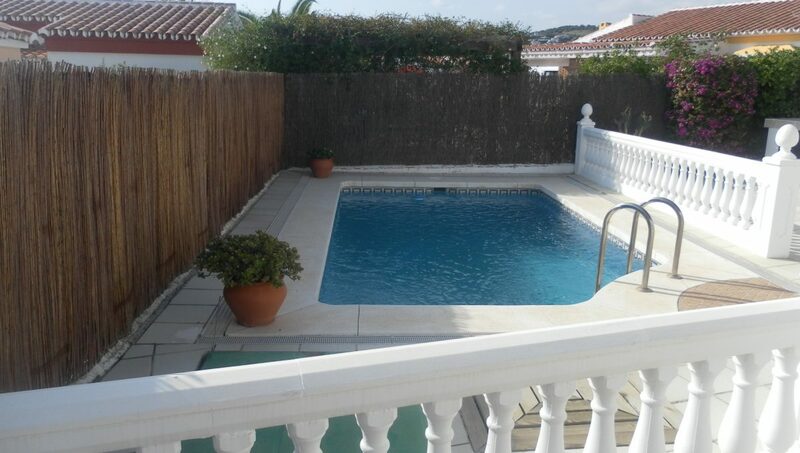 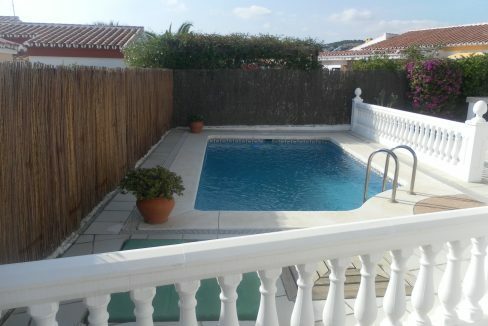 Private 7x4m pool with tiled terracing around, easily maintained garden, irrigation and brick built bbq, central to side of pool. 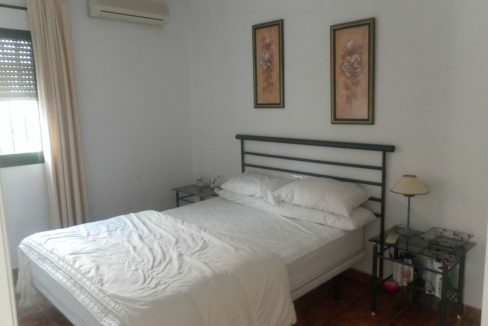 Aircon throughout the property.